The Q4 numbers are in for Apple and they’re good. Quite good. Really good. The company posted revenue of $9.87 billion and a net quarterly profit of $1.67 billion, or $1.82 per diluted share. Apple’s own earnings projections for Q4 were $1.23 a share, but they always put them laughably low. Analysts’ projections expected them to be around $1.42 a share, but some were looking for numbers as high as $1.60 a share. Apple beat all of those, easily. Apple sold 3.05 million Macs in the quarter, up 17 percent from a year ago. They also sold 7.4 million iPhones in the quarter, a 7 percent growth from a year ago. Both of those are record sales numbers, CEO Steve Jobs notes. By comparison, in Q3 of this year, Apple sold 5.2 million iPhones. That was a huge 626 percent growth over the year ago period, when they sold just 717,000 iPhones. But part of that difference was because the iPhone 3GS came out in June of this year whereas last year, it was out in July, right near the end of the quarter. iPod numbers, on the other hand, continued to go the wrong way. The company sold 10.2 million iPods last quarter, an eight percent decline from the year ago period. New accounting rules will allow Apple to count money made of off its so-called “subscription” devices, the iPhone and the Apple TV, immediately, rather than spreading the money over a 2-year period. Though there is no real change in units moved, this should add billions of dollars to its bottom line when it happens. Jobs also noted that the company has some “really great new products in the pipeline for 2010.” Tablet, anyone? On the call: Apple CFO Peter Oppenheimer, Apple COO Tim Cook, as well as Apple’s Treasurer. PO: We’re extremely please to report Apple’s most profitable quarter ever. Thrilled will the results, especially in this economic environment. Operating margin was Apple’s highest ever. Beating previous Mac sales record by 440,000. Faster than market growth in 19 of the last 20 quarters. Portable sales up 35% year over year. Big growth in Asia/Pacific market. Back to schools sales were strong, highest sales ever for U.S. education. 10.2 million iPods, a year ago we sold 11 million. 50% of recent iPod buyers were still buying their first iPod. People love the iPod nano’s new video camera. Sales of iPod touch were up 100% year over year. App Store and new $199 helped this. Over 70% for share of U.S. MP3 market. iTunes had another great quarter. Customers love iTunes 9. Store in 23 countries, iTunes is the worlds largest retailer. 7,500 films now. New record for iPhone sales. New record for iPhone sales. Response to iPhone 3GS is tremendous. Leading in JD Power report in consumer and business. Looking forward to selling the iPhone in China next month. Also expanding carriers in UK and Canada. 85,000 apps now, 2 billion downloads – half billion in September quarter alone. Apple retail stores had a record quarter. Revenue $1.87 billion versus $1.72 billion a year ago. Most Mac sales ever, about half were to new customers. Opened 15 new stores; now have 273 stores. Why’d we do better than expected? We sold more Snow Leopard and spent less on iPod transition than planned. And component costs were below what we expected. $34 billion in cash at end of September versus $31 billion last quarter. We still plan to use this for preservation of capital. In September, the new accounting rules were approved, so that will change things for us (see above). We don’t know how much that will add, but it should add a good amount. We’re pleased with this new rule. We have to do this by Q1 2011, but we can do it in 2010. We’re thinking about it right now, but nothing more specific for right now. Confident in new product pipeline. Very enthusiastic about the year ahead. Q: Factors in next quarters guidance? PO: Sales of lower-margin products. Lower Snow Leopard sales than last quarter. Component costs will be higher. Q: Could you discuss iPhone inventory? TC: Most of the countries had low inventory for much of the quarter as demand was high. But we improved supply in September. We have 2.4 million units in the channel. Q: Are you comfortable with that with China launching? TC: I would have liked to have had more. Q: Excitement about China that you can talk about? TC: We’re thrilled to be launching there October 30th with China Unicom. At higher price points, people will be able to get the iPhone for free. We have always seen quite a few iPhones going into China (illegally) so we’re excited. We’re not making projections on the volume yet though. Q: Updated comments on the economy? TC: We’ll leave the economy forecasting to economists. Q: Will multiple carrier change the pricing of the phone in places? TC: Can’t comment on pricing, but generally speaking, in our other markets, I wouldn’t expect the wholesale price to be different with more carriers. But the end-user price is set by the carriers themselves. Q: Seasonality in the different quarters? TC: We don’t have a lot of data to look at since we’ve only been selling for a couple years, and in some countries just a few months, so it’s hard to tell. TC: We also hope to roll out in Korea this upcoming quarter as well. Q: What are you thoughts for competition for the iPhone in the holiday season, like Android? 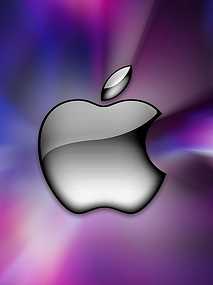 TC: Almost 21 million for the fiscal year sold now in terms of iPhones, so we have momentum. Plus the App Store with 85,000 apps is so far beyond anyone else. We feel good about competing with anyone. I think people are still trying to catch up with the first iPhone, announced 2 years ago. We’ve moved beyond that. Q: Were you happy about mix of iPhone 3GS versus the $99 one? TC: iPhone 3GS demand did exceed expectations. We quickly shifted. There’s an intense appetite for Apple’s latest technology (non-answer). Q: Talk about the Mac business. TC: Last quarter was the quarter of the portables. TC: The upgrade sales were more than double with what we saw in the initial period for Leopard. That’s much higher than we had planned. Yes, the price cut worked. Q: What are the benefits of having exclusive agreements with carriers for the iPhone? TC: In an exclusive agreement you can have a level of innovation that’s different if you had several carriers. Visual Voicemail is an example. And in some cases an exclusive carrier may be willing to invest more. Q: Mac business next quarter, will units be flat? TC: We don’t give Mac-specific forecasts, but you should consider the September quarter was benefited from 50,000 order from the state of Maine. We also had Snow Leopard that moved units. Q: How much would you have shipped if you had adequate supply of iPhones this quarter? TC: Hard to say, obviously. Q: Still expect the iPhone to be in 80 countries soon? TC: We ship the 3G in 80 today, 64 for the iPhone 3GS, I suspect that will be past 80 by the end of the calendar year. Q: Is the native Exchange support in Snow Leopard helping the corporate market? What about the iPhone? TC: With the iPhone 3GS we’ve seen strong demand in the corporate space. It’s now in well over 50% of the Fortune 100 companies. And it’s great abroad too. Over 350 higher ed institutions now approve iPhone for their staff. And sales are good in the government arena. Snow Leopard numbers aren’t ready to be shared yet, but Exchange clearly makes this simple. That’s it. Not one question on the whole Google Voice fiasco. Disappointing.